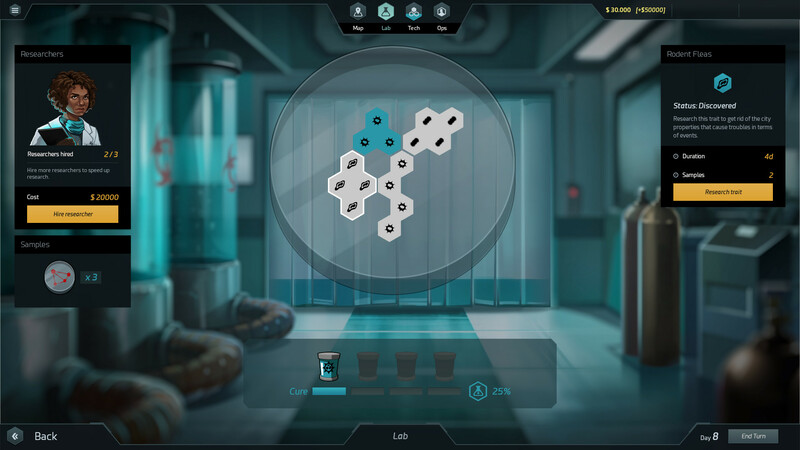 The Quarantine reference written and maintained by the players. We are currently maintaining 393 pages (31 articles). 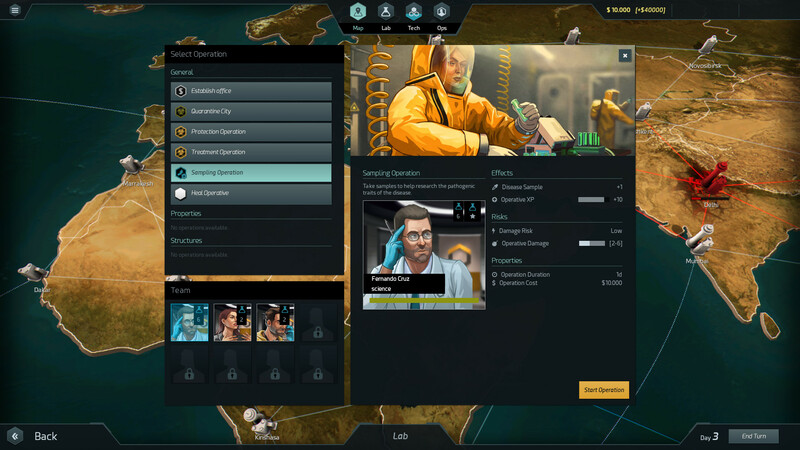 Quarantine is a turn-based strategy game by Sproing (published by 505 Games) that puts you in the position of Director of Pandemic Defense, a global biosecurity agency tasked with one thing: Containing the spread of a lethal pathogen that has emerged and threatens the very existence of humanity. Research the disease and develop a cure, fighting against extinction. Your enemy? Time, lack of funding, lack of operatives, lack of everything. Difficult choices await you, Director. 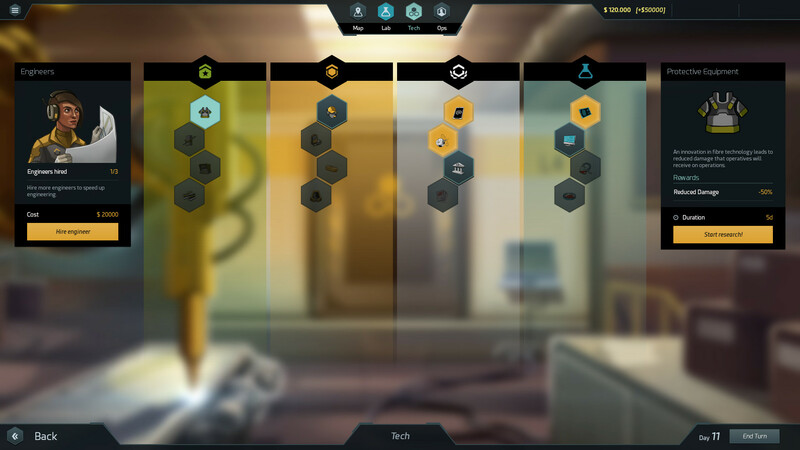 In gameplay terms, you'll be balancing time and money in fighting a randomly generated disease (viral, bacterial, prion, in different combinations) that continuously mutates and evolves. It's promised to be a particularly devious disease, constantly working to undermine your defenses - just how unpredictable, randomly mutating pandemics tend to do. 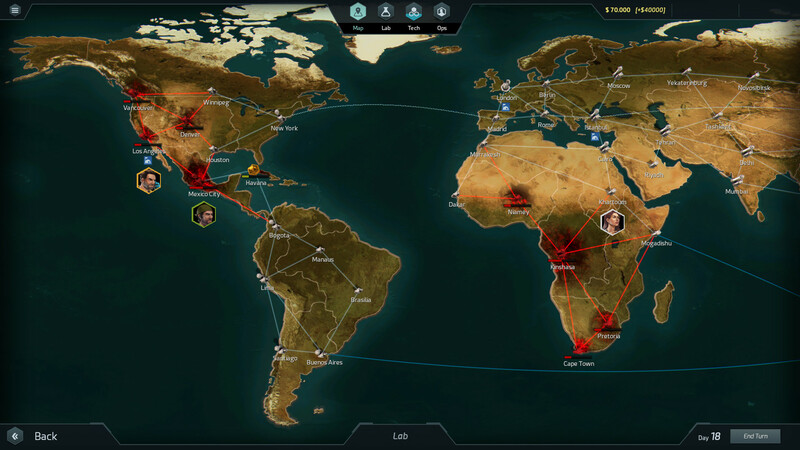 You aren't defenseless in this biological arms race: You'll have access to engineers and researchers to improve agency gear and work towards a cure, field bases to improve city security and securing funding... With four Directors to choose from, three levels of difficulty, many starting locations, and unscripted, sandbox gameplay, Quarantine promises that no two apocalypses will be the same. We are currently maintaining 393 pages (31 articles)! 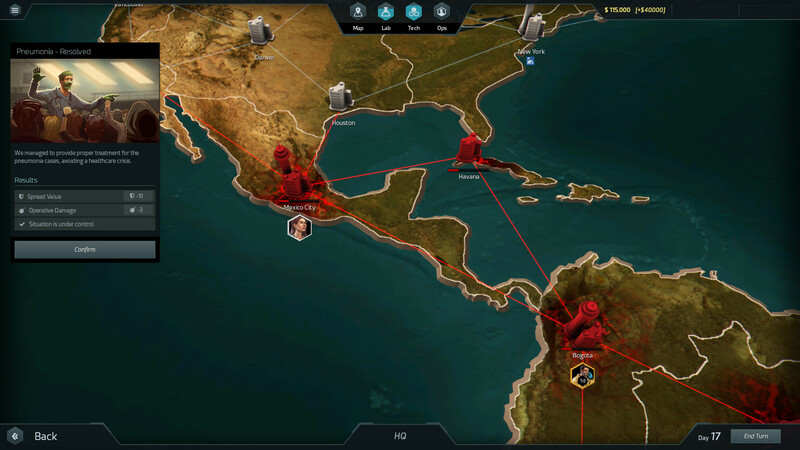 See how you can help contribute to Quarantine Wiki! Remember to maintain a standard for grammar and punctuation in your contributions, please. This page was last edited on 29 June 2017, at 00:08.